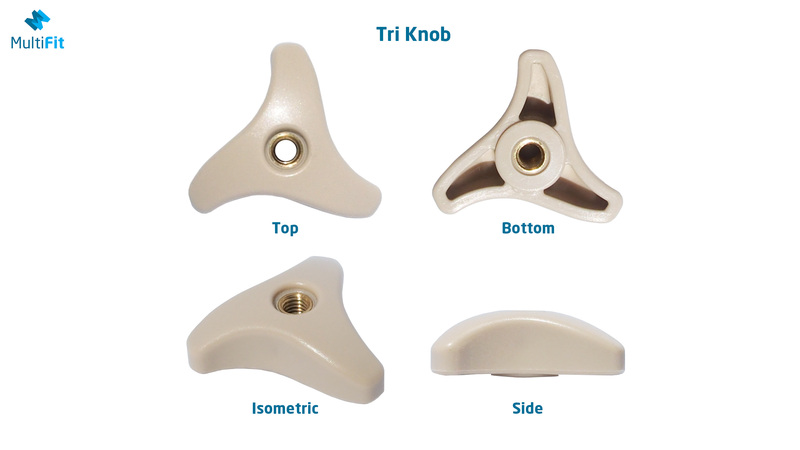 A low profile, tight fitting knob that looks great on any application! 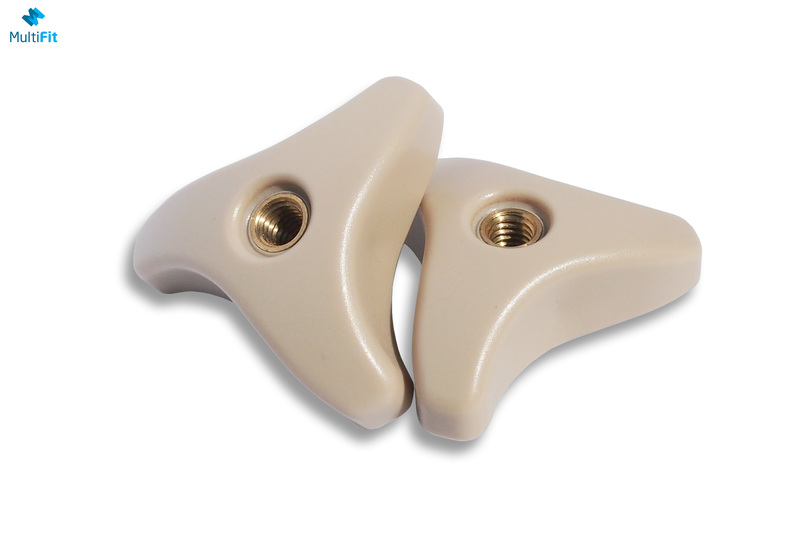 The Multifit M6 Tri Knob is sleek with a low profile design and an aesthetically pleasing beige finish. 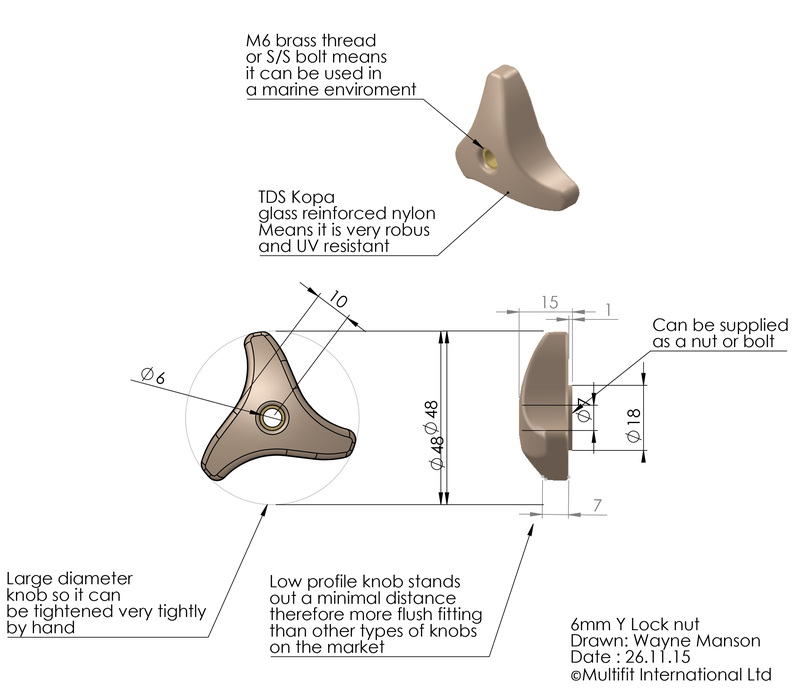 The knob sits at a close 15mm to its attachment and accommodates a M6 (6 mm) brass thread. The knob is designed with 3 prongs and a large diameter that allows for greater leverage and a tighter fitting. 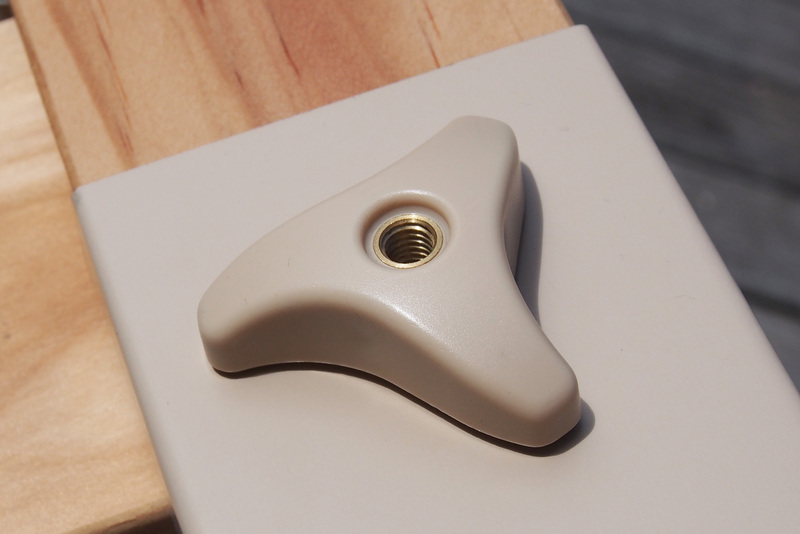 The knob its self is constructed from reinforced nylon making it extremely robust and UV resistant. Marine and Outdoor Environments – the robust nylon construction of the M6 Tri Knob makes it perfect for outdoor & marine environments where durability is a requirement. The UV resistant nature of the nylon suits it for outdoor use, ensuring that it wont warp or disfigure under the sun. Furniture – with a low profile design the M6 Tri Knob minimizes risk of catching on clothing or toes. It's classic matte beige looks complement furniture and modern designs. Interested in distributing the M6 Tri Knob? Contact wayne@multifit.co.nz for a distributors price list.